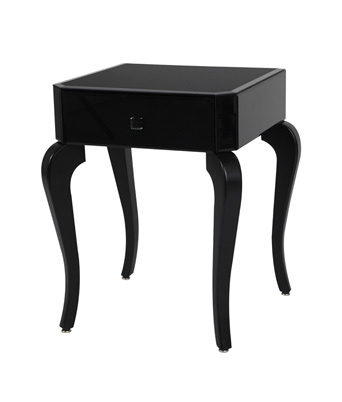 The Voila End Table is all black with curvy wooden legs and a black mirrored top. We also carry the matching Voila Coffee Table and the Voila Console Table. The Voila End Table is also one of the components of the Aristocrat Lounge Grouping – White.